Soldier to Advocate tells the story of 2nd Lieutenant Charles Erskine Scott Wood (1852-1944) who wants to be a lover and a writer. Stationed in 1877 at Vancouver Barracks near Portland, General Howard grants Wood the privilege of exploring Alaska, then recalls him to fight in the tragic Nez Perce War. 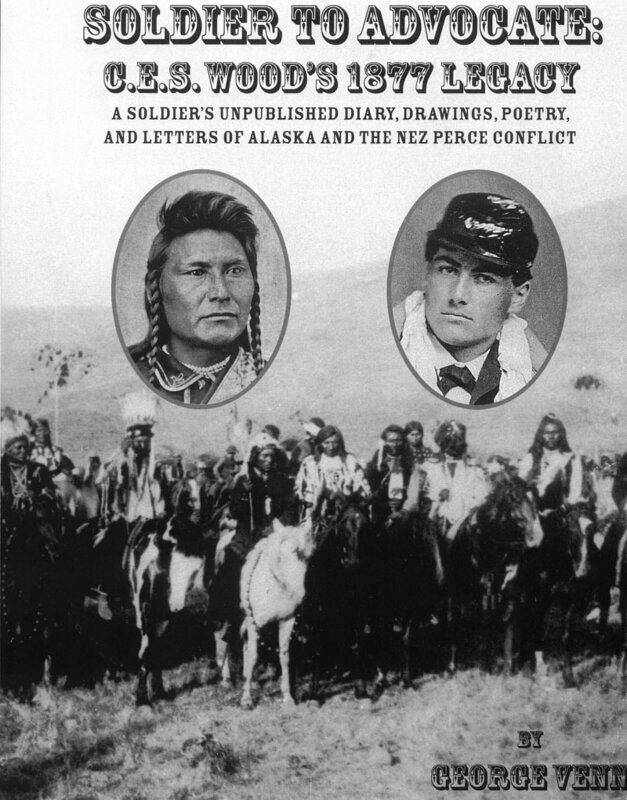 Part II features Wood's transcribed diary from this period, a text enriched by Wood's drawings leaked to the New York press—the only eye-witness images of the Nez Perce conflict. Part III traces Wood's lifetime of prose and poetry defending Chief Joseph and finally opposing General Howard. The book concludes by documenting three 1990's events in the Wood family's legacy of friendship and respect for the Nez Perces: a joint exhibition, the gift of a stallion, and a reconciliation ceremony. With nearly two hundred notes and forty additional 19th century images, Soldier to Advocate shows us that history is the nightmare from which we should all try to awake. "GEORGE VENN IS BREAKING NEW GROUND..."
"I highly recommend that any serious student of the Nez Perce Campaign read this excellent and rich piece of work. Mr. Venn's research in Soldier to Advocate will add that "missing piece" to some of the misunderstandings of the Nez Perce War." "George Venn's work is a superb contribution to our knowledge of the Nez Perce War, particularly as it respects judgments about Charles E.S. Wood as historian, participant, and literary influence." "Thank you for that wonderful publication, Soldier to Advocate. It's rich, rich, rich, and I congratulate you." "...this fascinating book [is] a must-read, must-have for students of Nez Perce tribal history...[Venn's teamwork with Wordcraft of Oregon] has produced an outstanding work that will be a treasure now and in the future...the unique kind of scholarship represented by Venn...artistically, seamlessly ties modern tribal history to that earlier troubled time." Poet, essayist, literary historian, editor, linguist, and educator, George Venn is a distinguished figure in western literature. In 1988, his third book, Marking the Magic Circle, was awarded a silver medal from Oregon Institute of Literary Arts. 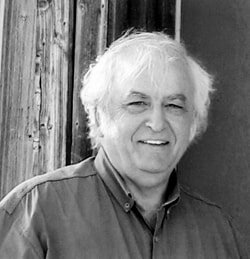 From 1989-1994, he designed and directed the OREGON LITERATURE SERIES for which he received the Stewart Holbrook Award for "outstanding contributions to Oregon's literary life." In 1999, West of Paradise was a finalist for the Oregon Book Award. In 2005, the Oregon Cultural Heritage Commission honored Marking the Magic Circle as "one of the 100 best Oregon books in two centuries." His C.E.S. Wood monograph Soldier to Advocate (2007) and his Word War II Fred Hill collection Darkroom Soldier have recently earned high praise.